This Menu Holder offers a spot on way to display your products. 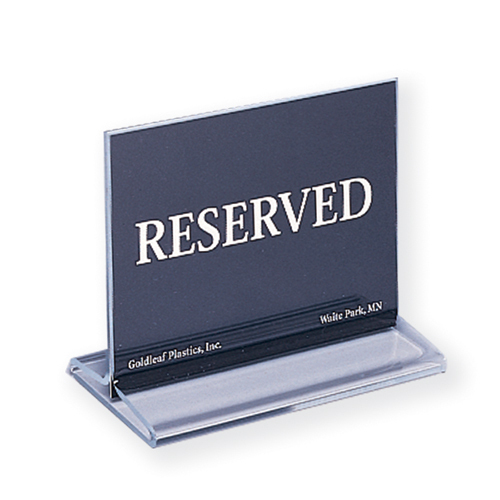 Constructed of clear Acrylic, this Countertop Countertop Sign Holder, Menu Holder is built to last. Buy Menu Holder now - Use our convenient shopping cart or give us a call and place your order with a knowledgeable service representative today!